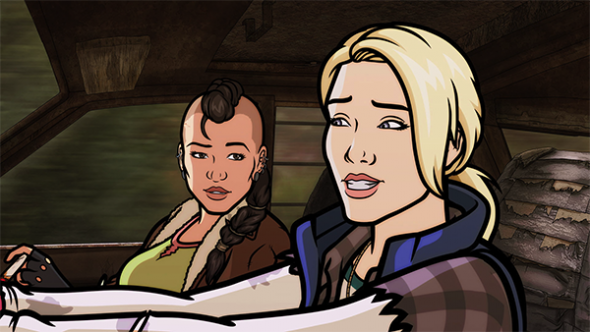 The voice cast of Cassius and Clay stars Kaitlin Olson as Cassius and Lake Bell as Clay. The title characters are female bandits in a futuristic, post-apocalyptic American South. Other voice cast includes: Susan Sarandon, Jeffrey Tambor, JB Smoove, Kevin Michael Richardson, Stephen Root, Katy Mixon, and Robert Patrick. What do you think? Had you been looking forward to the Cassius and Clay TV show? Do you think FXX should have at least aired the pilot, before cancelling the series? More about: Cassius and Clay, Cassius and Clay: canceled or renewed?, FXX TV shows: canceled or renewed? Pet peeve: please stop spelling canceled with 2 “L”s. Perhaps the writer is from an English speaking nation other than the USA. To be fair, “cancelled” predates “canceled,” as with most unesessary English language alterations made by the USA. That being said, I really wish we could have been treated to the pilot atleast. this is what happens when you try to make a show focused on female leads: you get cancellation. What do you mean, tribemello?